I’ve already been appropriately disgruntled/cynical about the recent barrage of mashed together Star Wars Angry Birds merchandise - putting these two things together makes about as much sense as balancing a cake on a cat. But in light of the momentous news of Star Wars’ imminent revival, my dark heart has somewhat softened and I find myself growing increasingly excited about a galaxy far, far away again. (Despite the fact that it all happened a long time ago). So when the actual Star Wars Angry Birds game hit the app store today I figured I’d better download it and give it a go. Is it just Angry Birds wearing a different hat? Find out the answer... after the jump. It’s sort of Angry Birds in a different hat, but truth be told.... it’s a very appealing hat. Although the Angry Birds premise remains the same (slingshot birds at structure building pigs) there’s some slight rejigging of the mechanics that makes it all worthwhile. And I’m sure he went home to a cold, lonely bed. We’re used to seeing popular mobile games re-skinned with different themes (be it seasonal or promotional) so why not beat the Angry Birds dead horse with a bit of Star Wars sparkle? 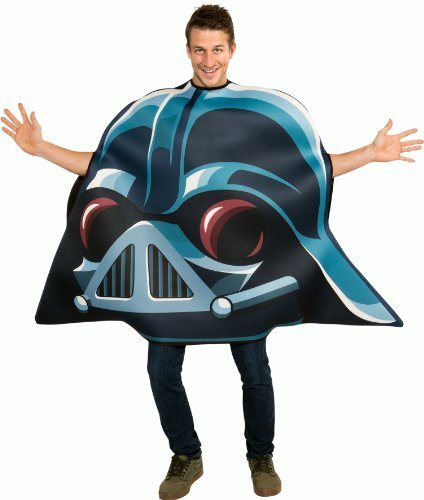 In fact, from the moment the Star Wars theme blares over the titles only to segue into a jaunty Angry Birds inspired remix, it becomes very hard to maintain your cynical scowl. What I enjoyed most, however, was the new powers given to the hero birds. For example, the red bird is Luke Skywalker and a few levels into Tatooine you will meet Obi Wan and earn your first lightsaber. This allows you to slash in an arc mid-flight and quickly cleave through obstacles. Obi Wan has a force push that can be activated in any direction, even conveniently clearing blocks behind him, and Han fires his blaster at any target you press on, regardless of the direction he’s facing. The only issue I had was that I felt perhaps a little too overpowered, easily clearing most bacon-based obstructions. But although a lot of Tatooine might be easy to clear, it’s not always so easy to achieve the coveted three golden stars. So there’s plenty of gameplay here, especially for the meagre sum of 99 cents. But there’s more money to be spent. I was lured by a set of levels entitled Path of the Jedi which begin in Dagobah, however, after a free taste, my further progressed was blocked by a $1.99 charge to continue. It’s still very cheap considering what you’re getting, but it’s also double your original entry fee. The good news is that you can unlock and play the Death Star levels for free instead (where you will unlock Chewbacca, Artoo and Threepio), and there is a yet-to-be-activated set of Hoth levels which will be made available in the future with a free update. You will also begin to unlock a set of tricky bonus levels as you earn more stars. But let’s face facts. We now live in a world where inventors must work feverishly around the clock to develop brand new, never-before-seen products purely so they can slap a Star Wars logo on it. “I just invented an automated mechakoalathrozzle!” “What does an automated mechakoalathrozzle do?” “I don’t know. 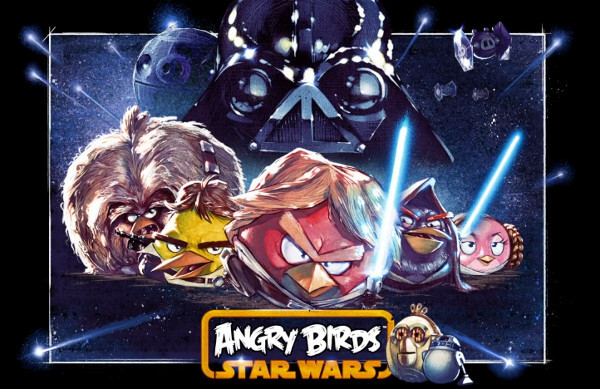 Just stick this Star Wars logo on it!” So, in a way, Star Wars Angry Birds was merely a matter of time and, as a game at least, not without its charm. And despite anyone’s misgivings I think it’s going to be popular. Somebody’s making some serious money today.